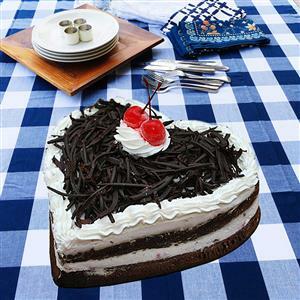 Send Special Heart Cake - 3 Kg. to Chennai. Gifts to Chennai. Send Cakes to Chennai. Description : Send 3 Kg. Special Heart Shaped eggless Cake to your loved ones in Chennai. This delicious eggless cake with its yummy taste is sure to win the hearts of your loved ones. Send this special heart cake to Chennai to your near and dear ones and let them enjoy its delectable taste. Along with this special cake, send Gifts to Chennai through Gift2Chennai.com. Weight : 3 Kg.Please Note : The picture is indicative. The look of the cake might vary according to the availability.